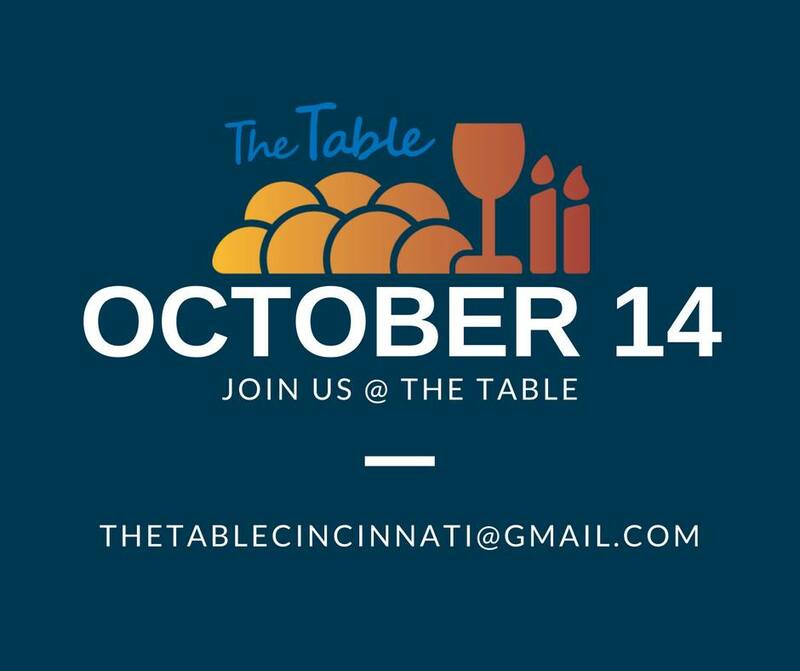 The Table was an initiative whose dream was to partner with Jewish Young Professionals* to celebrate Shabbat in their homes throughout Cincinnati. 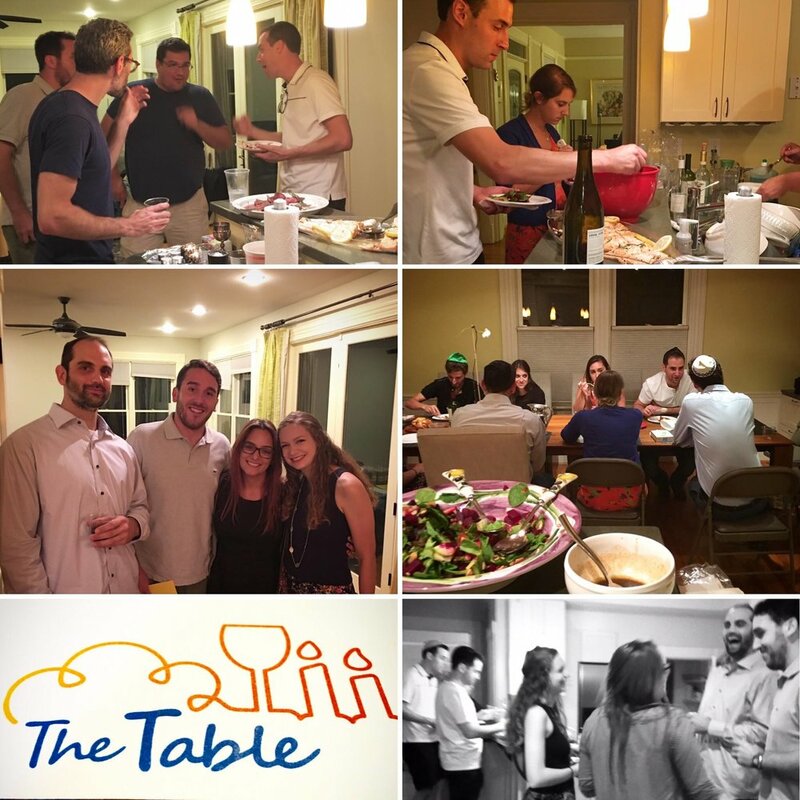 I started The Table with my husband and fellow 5th-year rabbinical student, Max Miller. 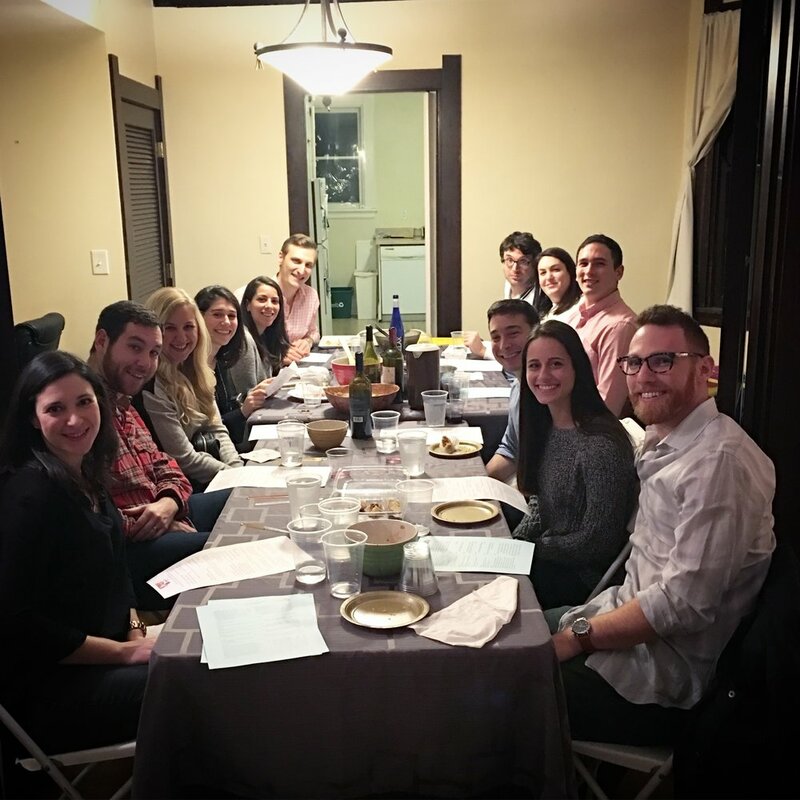 As a pilot program funded by the Jewish Foundation of Cincinnati, we reached over 110 Jewish Young Professionals in our first year of the program. 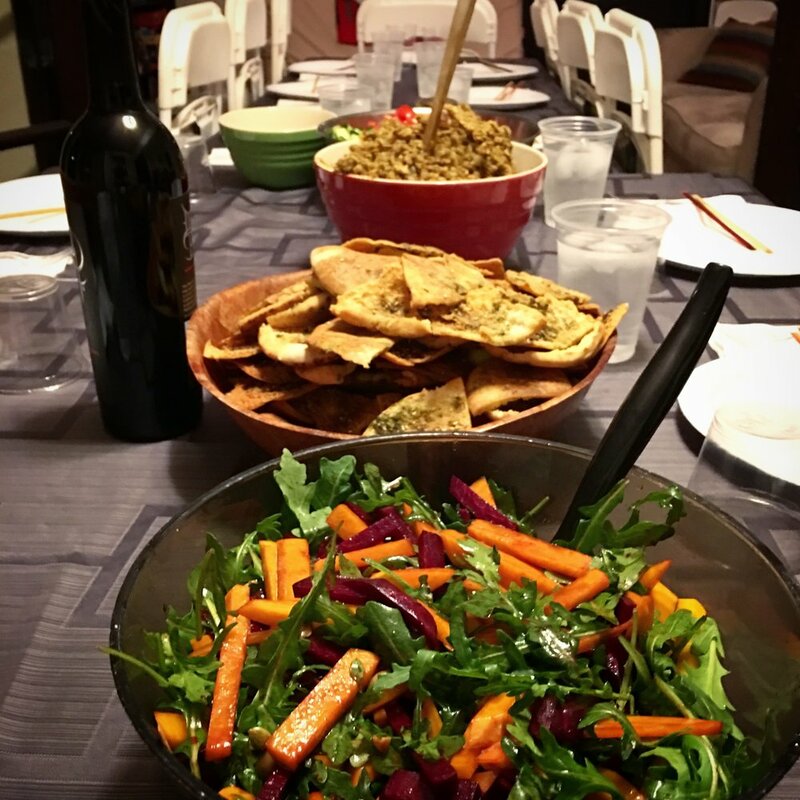 The Table was all about sharing a Shabbat dinner with a delicious home-cooked meal, being with new and familiar friends, and talking about the issues that matter. The only thing you needed to bring to The Table was yourself, an open mind, and a healthy appetite for good food. We set The Table in order to create a space where JYPs could engage with Judaism on their terms and bring those experiences home. 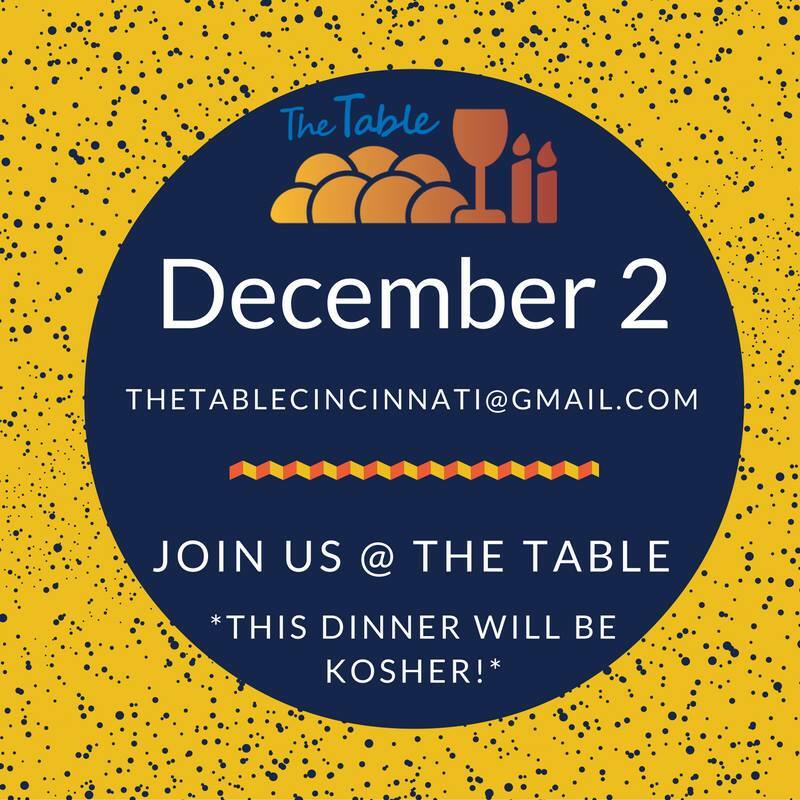 *22–35 (Post-College, Pre-Family) - Significant others of all religious backgrounds and those interested in Judaism are always welcome. We brought the raw ingredients, help cook, set-up, invite, and clean. We even bring tables and chairs if people have the space but not the seating. 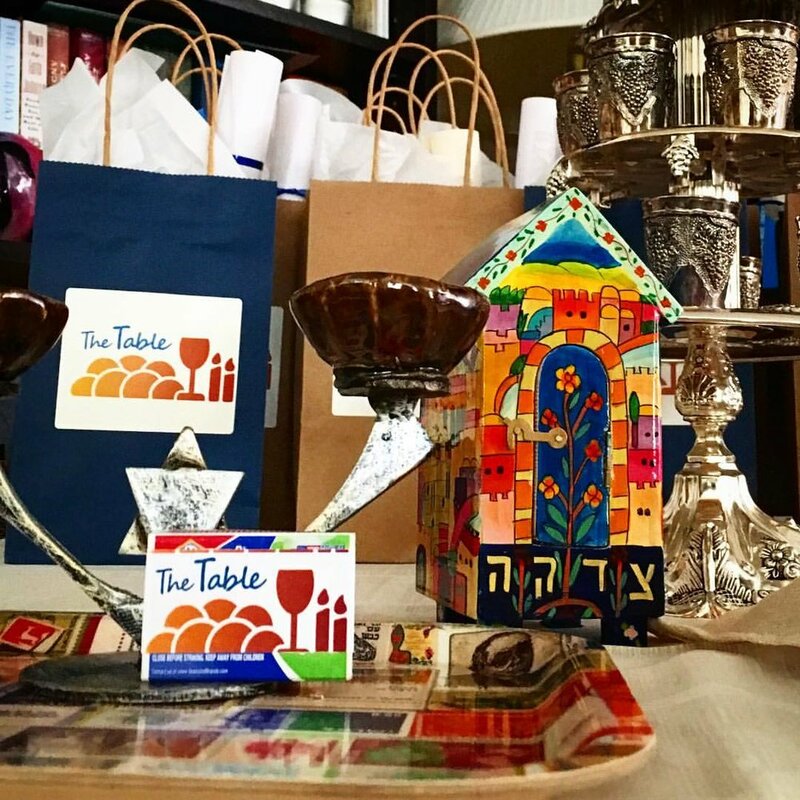 Today, The Table has left Cincinnati, and lives on in Atlanta as "Shabbat Together." Our biggest change, besides the city, is that we are no funded through the congregation and we have opened seating to include those who have children (though the dinners remain "adult-only" events). 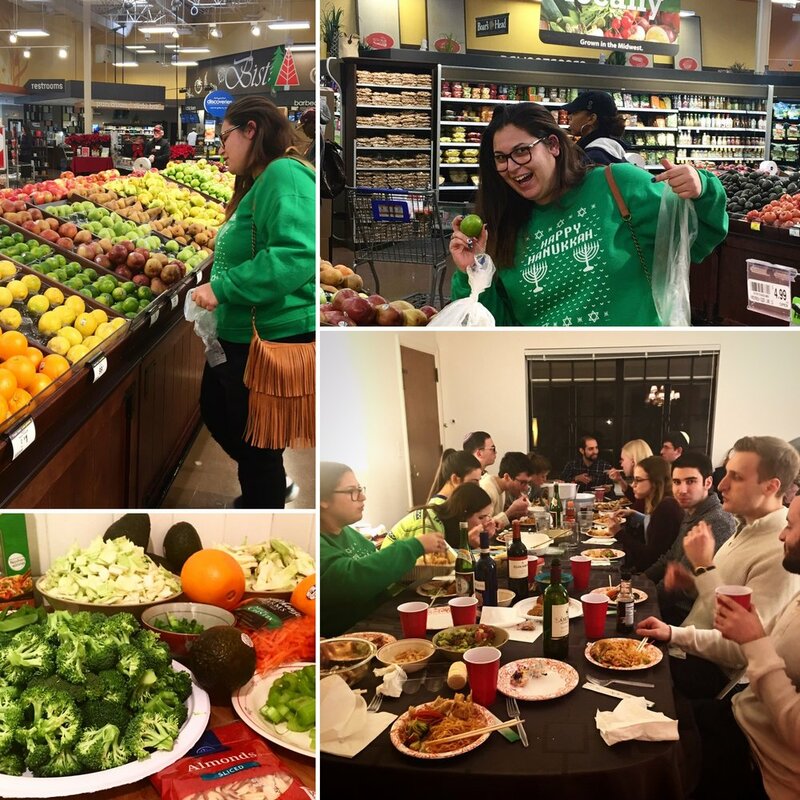 Through social media, word of mouth, and people we identify as "connectors," we personally reach out to new people every week to let them know about our program and the opportunities for making new connections to Judaism and people in the community. We built up our presence on social media by first reaching out to the network of friends we established by going to EVERY Jewish Young Professional event that fit out calendar. After this initial group was formed we reached out to our "connectors" (people who know people we have not had the opportunity to meet) and asked that they invite their friends into the Facebook Group. Our final step was to ask that anytime those "connectors" could come to an event, that they reach out to at least three people to tell them about The Table. We have reached an amazing point in our initiative: we are close to having more people who want to host than we have dates available! 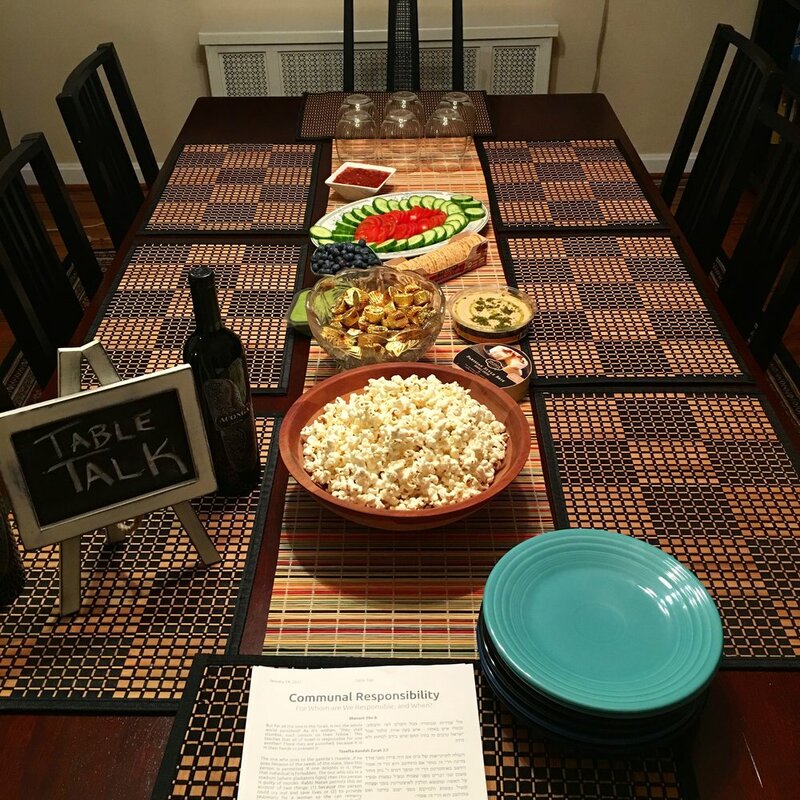 Once we connect with a host we communicate by phone, Facebook, and a Google Doc document that explains the entire process for hosting a Shabbat dinner with The Table. Through our Google Doc we build the menu, grocery list, schedule, and guest list with our host. On the Friday of the Shabbat dinner we go grocery shopping (with or without the host), fill our Shabbat goody bags (blessings sheet, candles, Kosher grape juice, matches, and our not-so-top-secret challah recipe), pack up our ritual items (kiddush cup, washing cup, candle holders, challah cover), and any extra tables or chairs requested by the host. We head to the host's home and teach them how to bake challah and help them prepare a delicious Shabbat dinner. What happens at the dinner? Once the 10–20 guests arrive we pass out our blessing sheets and do a short introduction about The Table and the blessings we are about to say. Afterwards, we invite everyone to introduce themselves and share one thing they are grateful for from last Shabbat to this Shabbat. Following the introductions we (or our host) leads everyone in candle blessings, Shalom Aleichem, and Kiddush. After Kiddush we explain the ritual of hand-washing -- most of our dinner guests have never participated in this ritual before -- and invite everyone to give it a try (standing by their side to help with executing the ritual and blessing). We bless the challah and then dig into our kosher-style dinner. About halfway through the meal we thank our host and introduce our Table discussion. These Jewish discussions are based upon things that happened in the news, that we heard on a podcast, or that we have been thinking about over the past week (Topic Examples: Machloket L'Shem Shamayim - How to bring in the Jewish value of sacred argument when debating the election; How do we relate to chosenness? ; How does our Jewishness affect our privilege?). We finish up our meal, enjoy our dessert, and conclude with Birkat Hamazon (Grace After Meals). Guests often help clean up and many hangout for games or conversation before heading home. 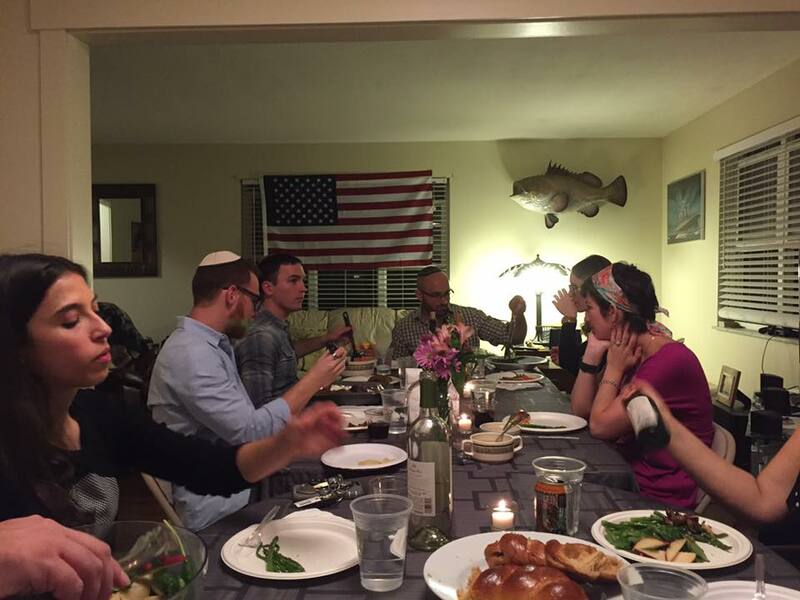 Near the end of our first year on the Cincinnati campus, Max and I began hosting Shabbat dinners in our home every free Friday night. We would cook the main dish and the challah, and we asked our friends to bring the wine, side dishes, and dessert. 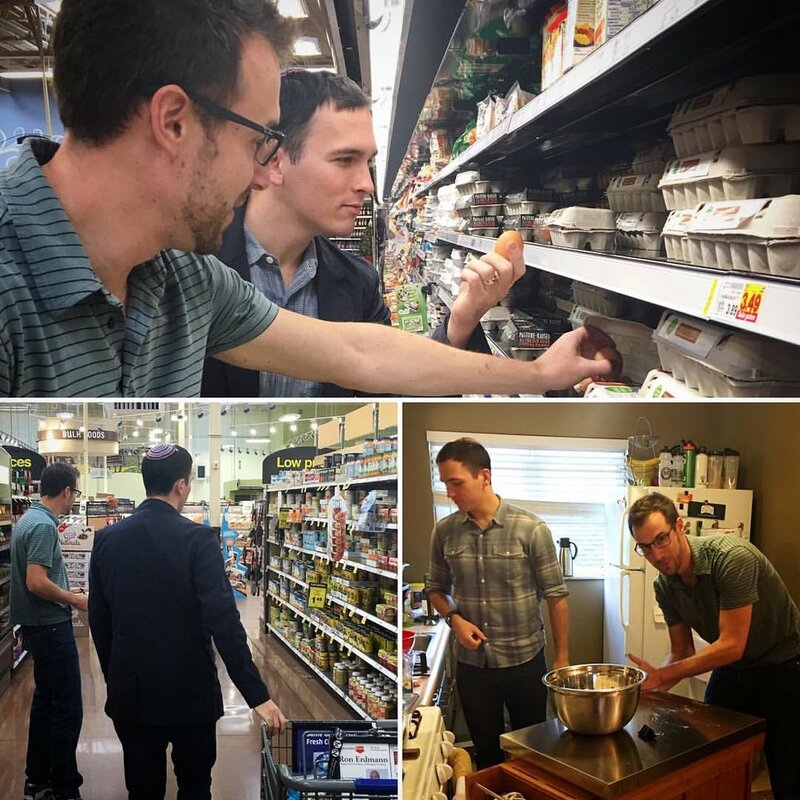 Max and I had both (separately) experienced formative Jewish moments around Shabbat dinner tables during our college and post-college years, and we wanted to provide those moments for others as well. 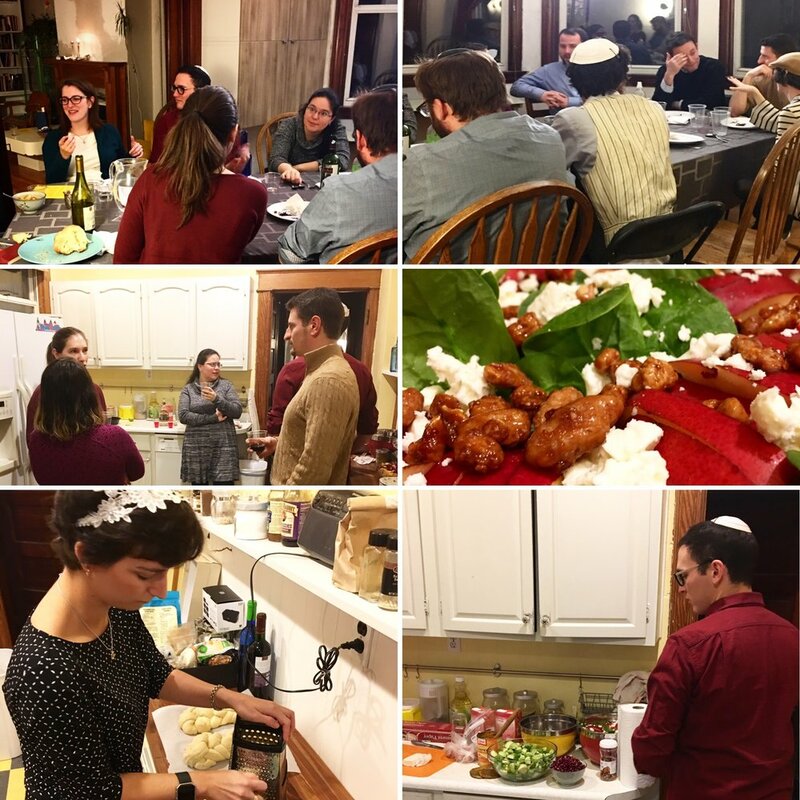 The holiness of Shabbat, mixed with our passion for cooking and the sounds of singing Shabbat z'mirot (songs), made Friday night our favorite time of the week. We feel so blessed to be able to share these passions with others. Want to Start The Table in Your City?